Can I make calls on a Cruise Ship with my cell phone? 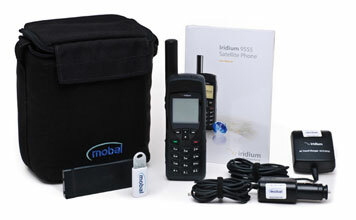 We often get asked the question here at Mobal “Can I make calls on a Cruise Ship with my cell phone?”. The answer is usually ‘Yes’ to this question but it is important to check whether or not your cruise line has the capability for you to use your cell phone onboard. To find out you can either ring your cruise lines customer service number and ask or go directly to the website and search for telephone. Mobal have recently built a tool to help people going on a cruise to find out if they will be able to use their cell phone onboard. Sea-Cell.com offers a quick and easy tool to simply find the cruise ship you will be onboard and check its available frequencies and cell services available. 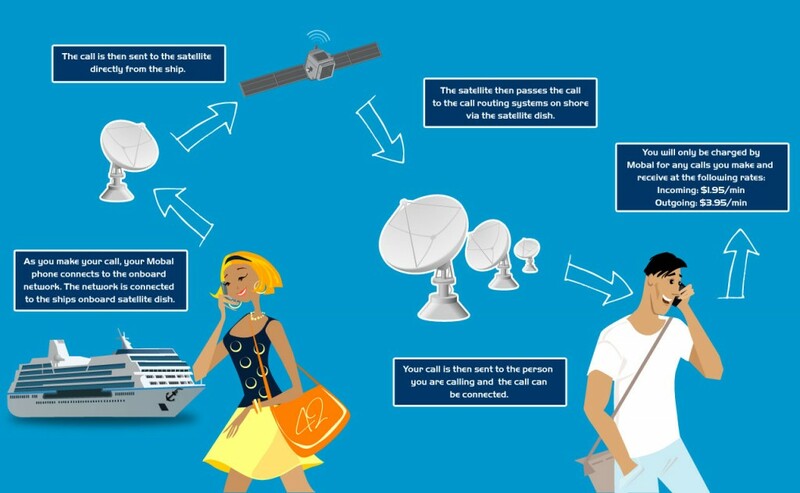 The cruise ship has an on-board satellite system that offers a network for your cell phone to connect to, when you place your call it is sent via the satellite to the cruise ship routers that then connect it to the correct phone network to place the call. How much will it cost to make calls? Making calls on-board a cruise ship is a luxury service and the costs associated with it reflect that ranging from $2.50 – $10/minute, however it is often cheaper to make calls once you arrive at port using the local networks. 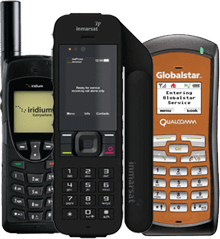 Always ensure you check the costs with your cell phone provider before using the phone on a ship. When using your Mobal phone onboard a cruise ship you will only ever be charged for your calls by Mobal with incoming calls being charged at $1.95/minute and outgoing calls charged at $3.95/minute. When arriving in port, if you want to make a call make sure that you are connected to the local network rather than the cruise ship network still. Remaining connected to the cruise network means you will be subject to the higher calling rates. 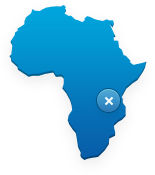 If your traveling with a smartphone (iPhone, Android, Blackberry etc) ensure that you have switched off the data roaming on the phone. We hope you’ve found this article helpful, if there’s anything we’ve missed why not comment and let us know. One thought on "Can I make calls on a Cruise Ship with my cell phone?" Hi Jared, nice article, and helpful too. The only detail is that the cruise ships have turn off their cellphone antennas when less than 12 nautical miles from shore to avoid interference and unfair competition with the local cellphone companies of wherever they are sailing.